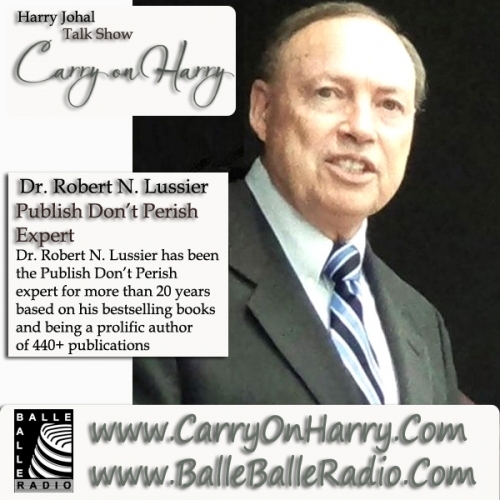 Studio Guest Dr. Robert N. Lussier has been the Publish Don’t Perish expert for more than 20 years based on his bestselling books and being a prolific author of 440+ publications including ET&P, JSBM, FBR, JSBED, JME, JSBS, and several other journals. Over one million people globally have used his 12 publication, entrepreneur, business leadership and team building books, earning him an unsurpassed national and international reputation as an author and keynote speaker. He has helped hundreds of institutions and individuals in over 75 countries get published. Presentation highlights include numerous universities, professional associations and conferences including USASBE, NAMS, NEBAA, EAM and SBI (awarded highest honor of Small Business Institute® Fellow). Dr. Robert N. Lussier shared his experinces as an author and shared his valuable tips about his expertice as a key note speaker.